Huawei announces that they are discounting two of their midrange smartphones, namely the Huawei Nova 2i and the P20 Lite. This is most likely in anticipation for the arrival of the Nova 3 and the Nova 3i. The Huawei Nova 2i is now priced at PHP11,990, down 1k from its original price of PHP11,990. While the P20 Lite now goes for PHP13,990, down 2k from its price of PHP15,990. The significant discounts are in no doubt to prepare for the arrival of both the Nova 3 and the Nova 3i to the Philippines. The handsets are commanding huge interest from fans and would-be buyers, and are poised to be hits like its predecessors. The Nova 3 and the Nova 3i is expected to launch on July 28, 2018. The latter is expected to retail for PHP15,990, although some are saying it can go as high as PHP17,990. As a reminder, the Huawei Nova 2i comes with dual front and dual back cameras, a 5.9-inch 18:9 full HD display, and a metal unibody. It is powered by an octa-core HiSilicon Kirin 659 processor paired with 4GB of RAM and 64GB of storage. It also comes with a back mounted fingerprint sensor, an audio jack, and a 3,340 mAh battery. The Huawei P20 Lite, on the other hand, features a 5.84-inch FullView 19:9 display an octa-core Huawei Kirin 659 processor, 4GB RAM, and 64GB storage. It boasts dual 16MP + 2MP sensors, and a 16MP front shooter. The phone also has dual SIM support, a fingerprint sensor, face unlock, a 3,000 mAh battery with Quick Charge 2.0, and Android Oreo based EMUI 8.0 out of the box. 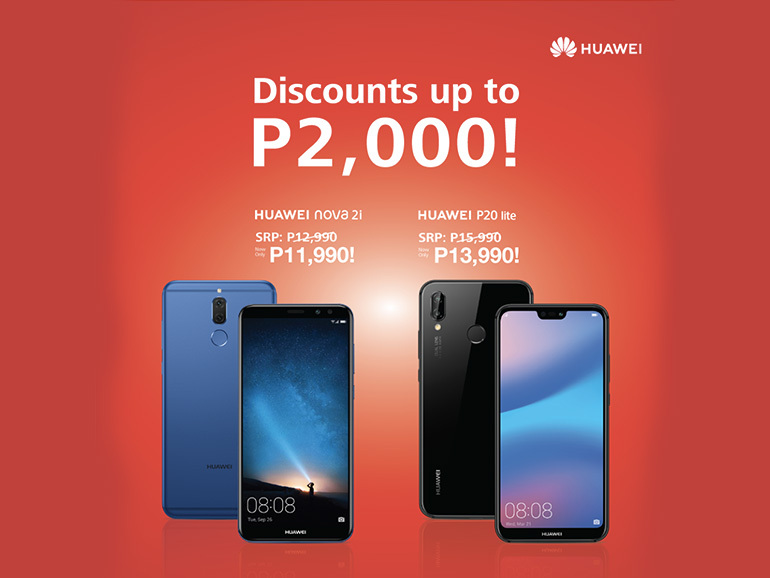 Both the Huawei Nova 2i and the P20 Lite are available in Huawei concept stores and kiosks across the metro.